Most of the volcanic activity on Earth occurs beneath the ocean surface on or near the mid-ocean ridge, the longest mountain chain in the world, where the tectonic plates move and spread to form new crust. 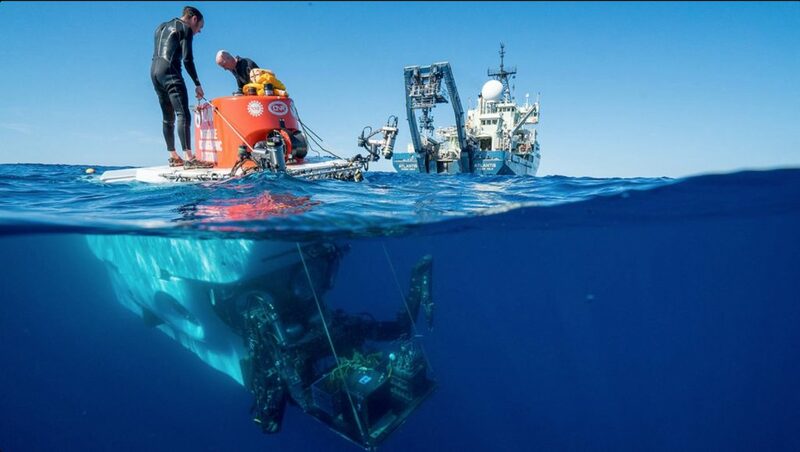 This research expedition has two objectives: First, to study the processes that govern the formation and evolution of oceanic crust; and second, to train young scientists just beginning their careers how to plan and carry out a complex research cruise that involves both the human-occupied submersible Alvin and the autonomous underwater vehicle Sentry. The science team will travel on board the research vessel Atlantis to two locations: A seamount chain at 8°20’N roughly 1,000 miles south of Manzanillo, Mexico, where the cruise departed on December 3, and a volcanically and hydrothermally active portion of the mid-ocean ridge on the East Pacific Rise at 9°50’N, located approximately 100 miles north of the seamount chain.